It would never cross his mind to hate us even when we failed to mind his cross. Tobias, is the icon yours? It's wonderful. Thank you, Mimi, for the kind words. Yes, the "rood" scene is one of mine. 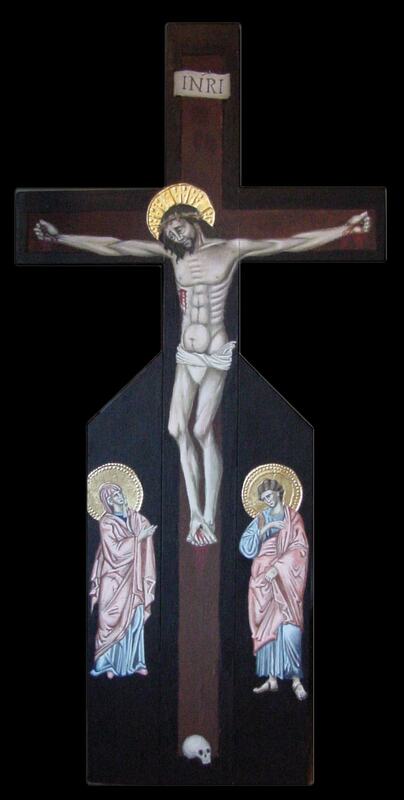 It actually becomes the altar cross at St James during Lent.